We recently saw a video of the Samsung Galaxy S7 vs the HTC 10 and now we have another video, this time the video features the iPhone 6S vs Samsung Galaxy S7. 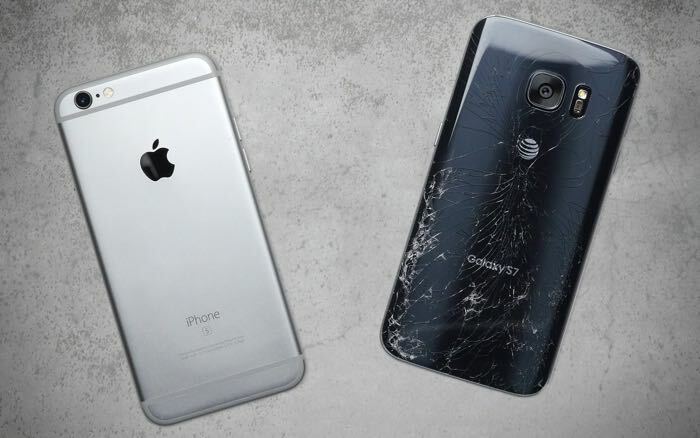 In the video below we get to find out which of the two handsets is the most durable in the iPhone 6S vs Samsung Galaxy S7 drop test. As we can see from the video the iPhone 6S was the more durable of the two handsets, although it only managed a total of 5 extra drops before it broke, the HTC 10 ended up taking around 34 extra drops before it broke.